Commodity. 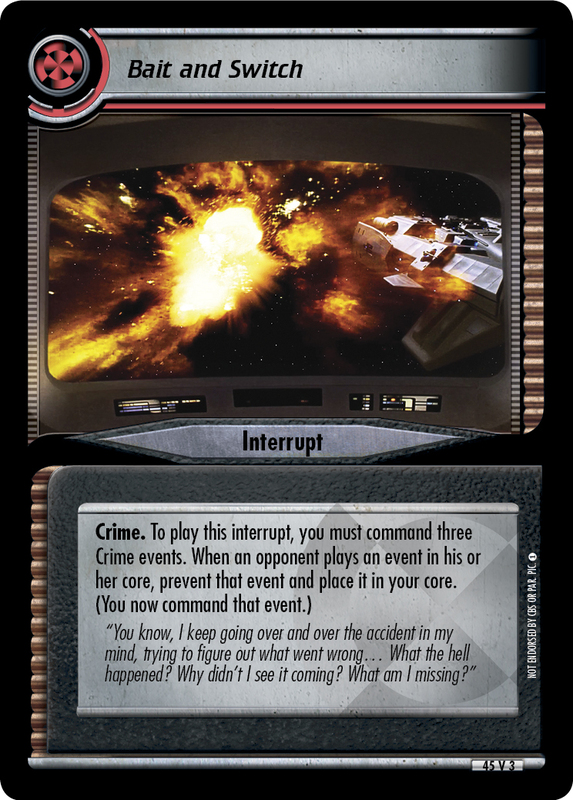 (When a player plays or takes command of this event, it is placed in that player's core.) 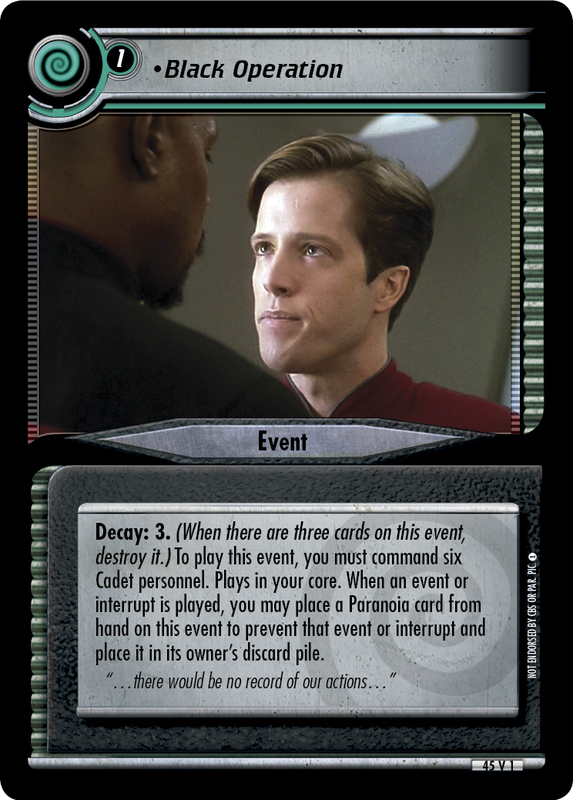 When an interrupt is played, if you command a Waiter personnel, you may give command of this event to an opponent to prevent that interrupt and place it in its owner's discard pile. 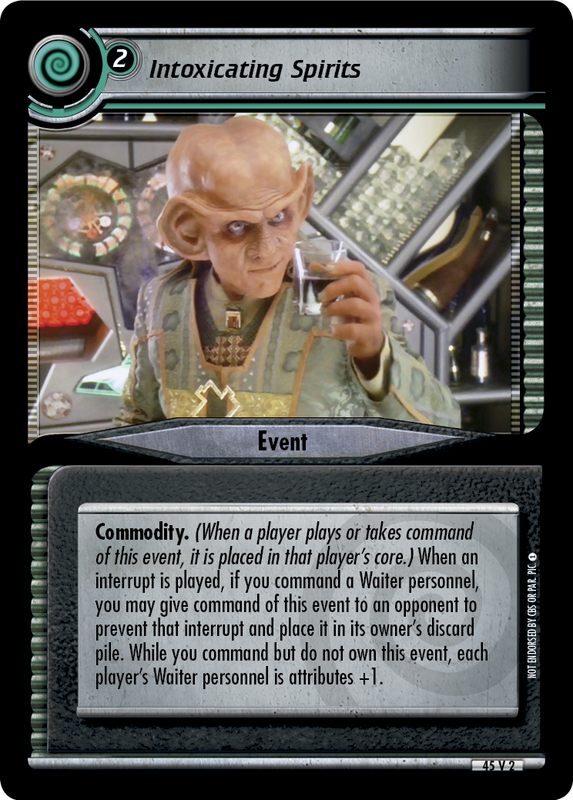 While you command but do not own this event, each player's Waiter personnel is attributes +1.